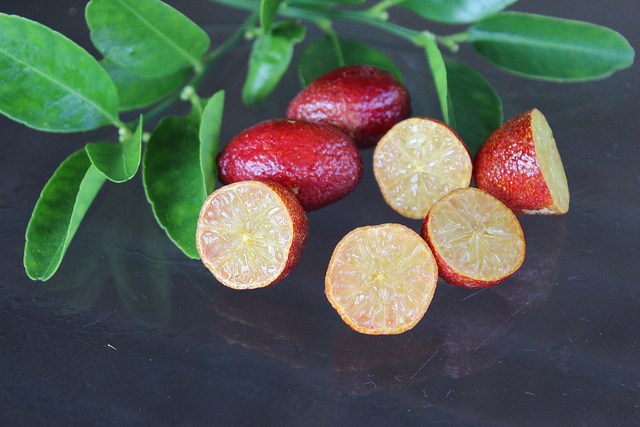 Australian blood lime is a hybrid citrus. It is believed to have arisen from some cross between red finger lime (Citrus australasica var. sanguine and Rangpur lime (Citrus x limonia). The selection was made in 1990 at Merbein, Australia by fruit breeders of CSIRO. Though Australian blood lime is not a sweet like orange, yet it is used for many culinary purposes. That makes it a commercially important and it is now is being cultivated in Australia. 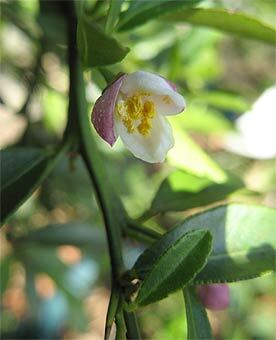 An attractive, dense, upright shrub to small tree, usually 2m to 3 m high and 2 m wide. Leaves dark green, glossy, ovate, 25-30 mm long, 15 mm wide, margins slightly serrated, short stiff slender spines (which can damage the fruit) present in leaf axils. The blood lime fruits, though acidic in taste, are excellent when used in sauces. They can also be used as an ingredient for preserves, condiments and beverages, or fresh as an attractive garnish for sweet and savoury dishes. They are less aromatically perfumed than a true lime. 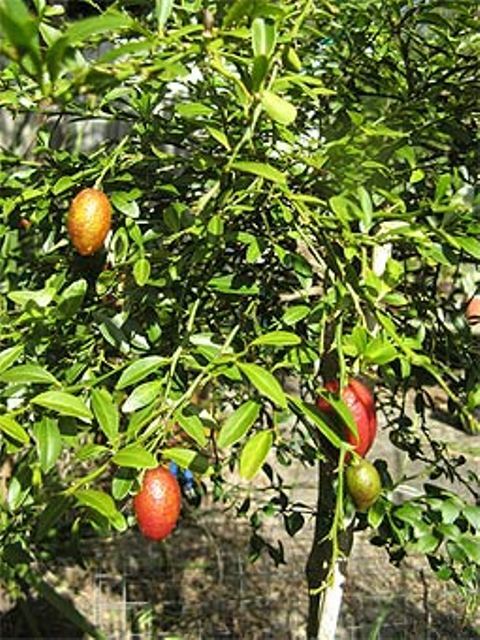 Australian blood lime is a tree with multiple uses. 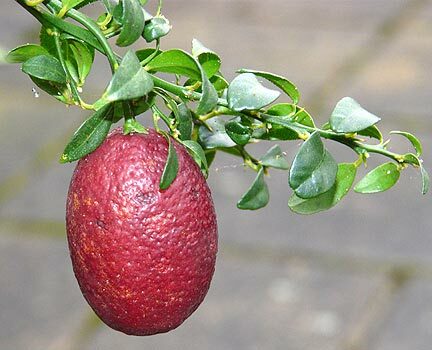 Besides providing fruits that are put to several uses in kitchen, it has a quite ornamental look too due to its dense dark green foliage and unusually deep red coloured small fruits. So it is now becoming quite popular as a garden plant. New plants are mostly raised from seed. They grow easily and do not require any special care. However, as the crop is carried on the previous season’s growth, often on long weeping shoots, which may be covered later by a dense canopy growth. Some pruning and nutrition management may therefore be necessary to reduce this growth and present the fruit in such a way so that the fruit damage is minimized and the harvesting of fruits becomes easier.